In the heart of Queen Street West, in the shade of the sprawling Trinity Bellwoods Park, you’ll find Ursa -- a smoothly post-modern spot w/ low hung bulbs & bare concrete walls. The menu serves up fresh farm-to-table goods like house burrata w/ Champagne poached peaches, and an elk tartare which, if it were chopped any finer, would be a moose. So, you’re probably going to have to wait in line at this place, but when we say it's worth the wait, we mean it, because they cook some of the city's finest Italian eats. 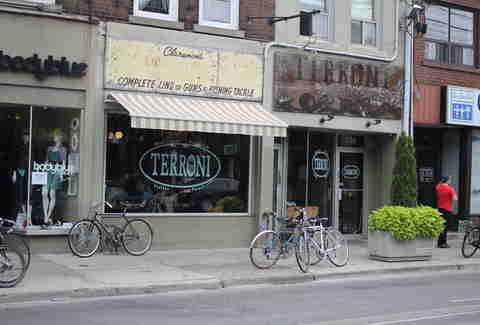 The industrial-esque space has exposed overhead pipes, and the menu throws out high-quality 'za (from classics like salami & Napoli, to a white pizza w/ house-smoked salmon), as well as pasta dishes like their inventive dandelion & spicy sausage combo. 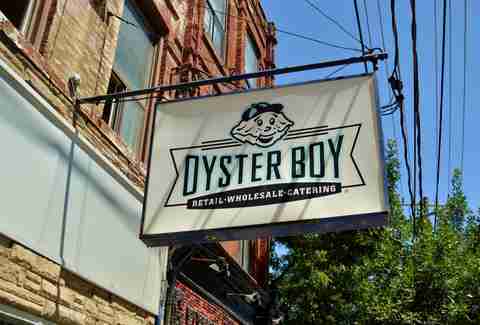 Proudly sporting the slogan "the oyster is our world" (see what they did there? Of course you did...), this local joint ain't kidding. They've got everything from Rockefeller to Royale, as well as bivalve-stuffed tacos, lobster rolls, and of course fresh dozen platters from an ever-rotating list -- and it's all served up in a simple white-wall & wood-table setting. 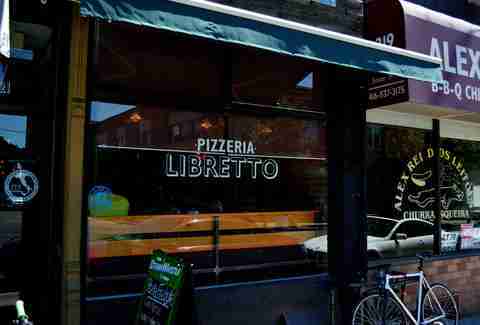 Putting out thin-crust, Neapolitan-style pies, Libretto's 'za is slow-risen & flash-cooked for just 90 seconds in their 900 degree wood burner. Toppings range from the classics (Marinana, grilled eggplant, etc.) 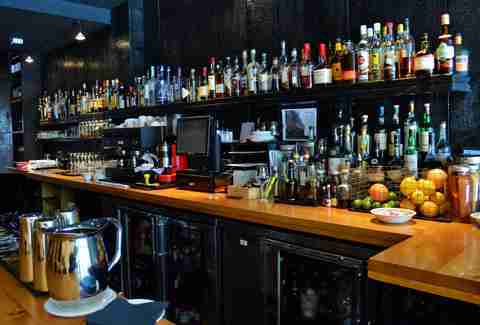 to more inventive numbers like duck confit & pear, while the decor itself sees the rough edge of steel chairs & bare brick walls matched with low lighting and a warm wooden bar top. 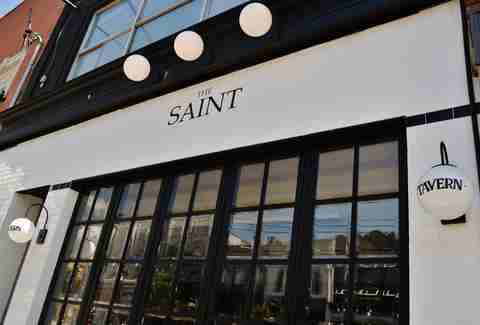 Whether it’s the maple bourbon bacon with your brunch, the clam & bacon in your Caesar, or the bone marrow you’re having for dinner, The Saint clearly wants you to become as fat as Val Kilmer. The black-draped, diner-inspired interior adds a casual edge to the otherwise high-end hangout. 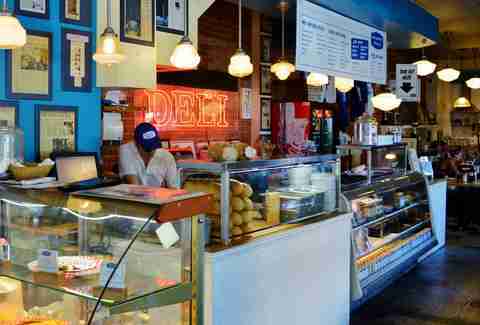 Caplansky’s Delicatessen has been serving up high-end deli food to delighted meat-lovers at College & Bathurst since its opening in 2008. Thick-cut and hearty, one of the more popular numbers is Zane Caplansky’s $8 smoked-meat sandwich, while breakfast offerings include the lox, salami, eggs ,and latke-filled Geddy Lee special, perfect for people in a rush(!). Canoe is located in the Financial District and there’s a reason why (it’s a bit heavy on the wallet), but if you can get over that, you'll score some of the town's best fine dining, w/ dishes like tea-leaf smoked duck and maple-torched salmon. 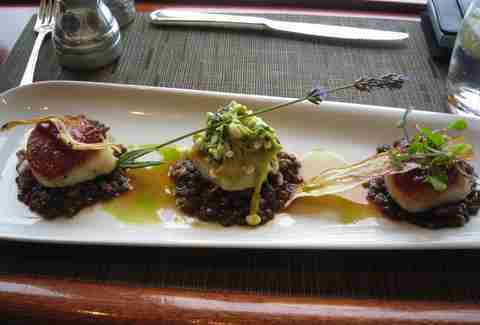 You'll also be eating in a cool glass-walled room on the 54th floor of the TD Tower, sporting a view across to the giant needle of the CN. The bad news first: you’re probably going to wait in line. The good news, however, is Lady Marmalade is a sassy club number by Christina Aguilera local institution with incredible up-classed brunch food. 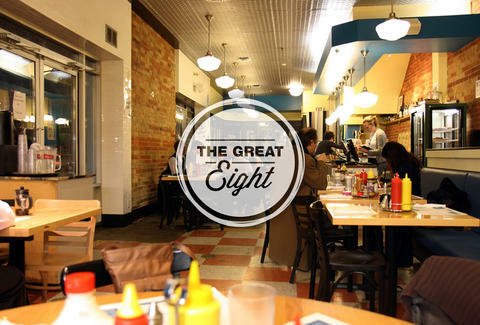 Run by a brother-and-sister duo in the East End, the menu sports all the greasy spoon staples without any of the grease. 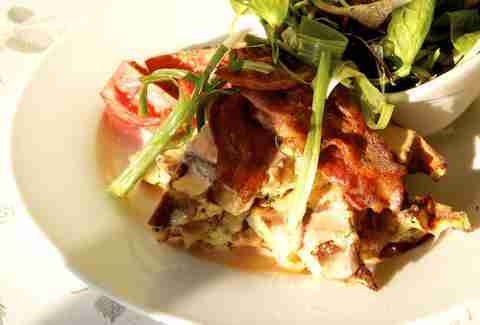 Be sure to try the poached eggs.